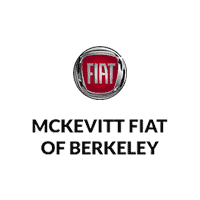 If your vehicle is in need of a new muffler, battery, wheels, or other auto parts or accessories near San Francisco, CA, McKevitt FIAT of Berkeley is the premier location. Speak with a parts or accessories specialists at our location if you need help identifying exactly what it is your vehicle needs. Whether you are located near San Francisco or the surrounding areas of Daly City, Alameda, Berkeley, Oakland, Mill Valley, San Rafael, Marin and South San Francisco our specialists can get you the items you are looking for. If it is still under factory warranty, it’s crucial that you incorporate only manufacturer-certified parts and accessories to maintain the condition of your vehicle. Our FIAT store is a choice destination for customers in need of parts and service from all around the San Francisco Bay Area. To save yourself time and money, be sure to check for auto parts specials on our website before making your next purchase. Do you want a convenient online auto parts order form? We have that too! If you are more comfortable buying your auto parts in person, visit us at 2700 Shattuck Avenue #200, or call 888-492-2347888-495-8990 for more information.